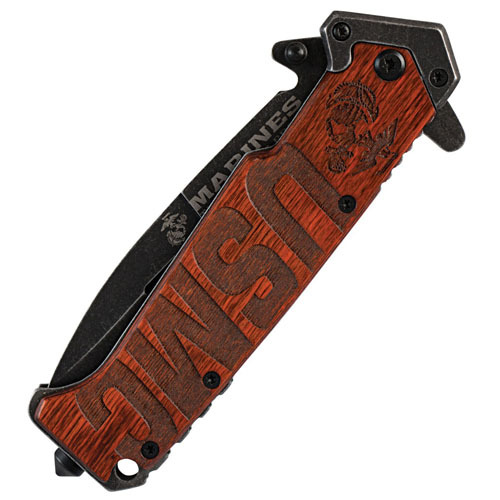 Salute the United States Marine Core with the USMC Beachhead Folding Knife from United Cutlery. 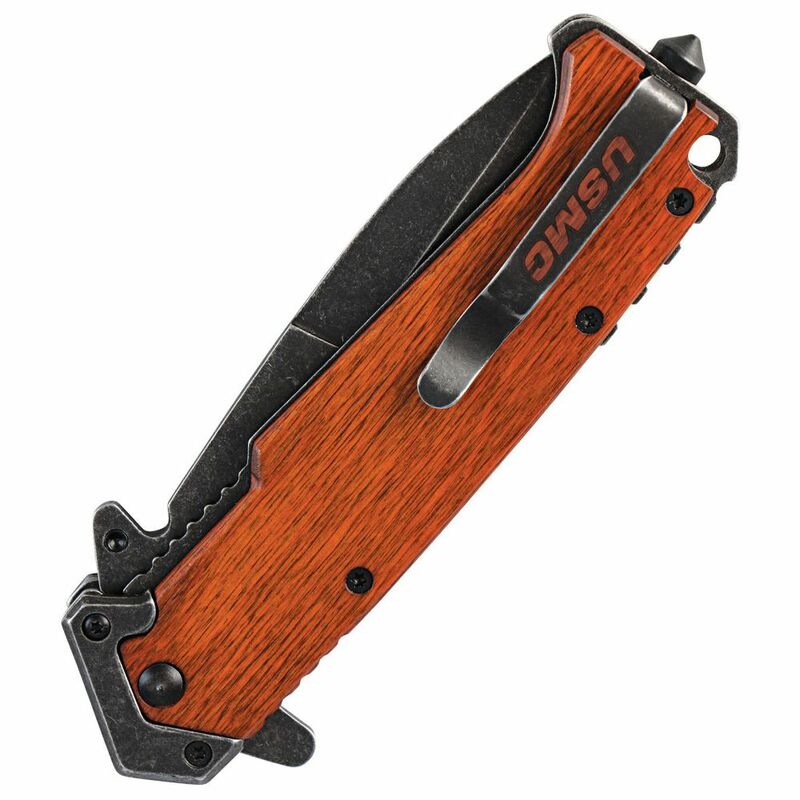 The sturdy wood handle is embossed with the official USMC logo and fully loaded with a liner lock and glass breaker. 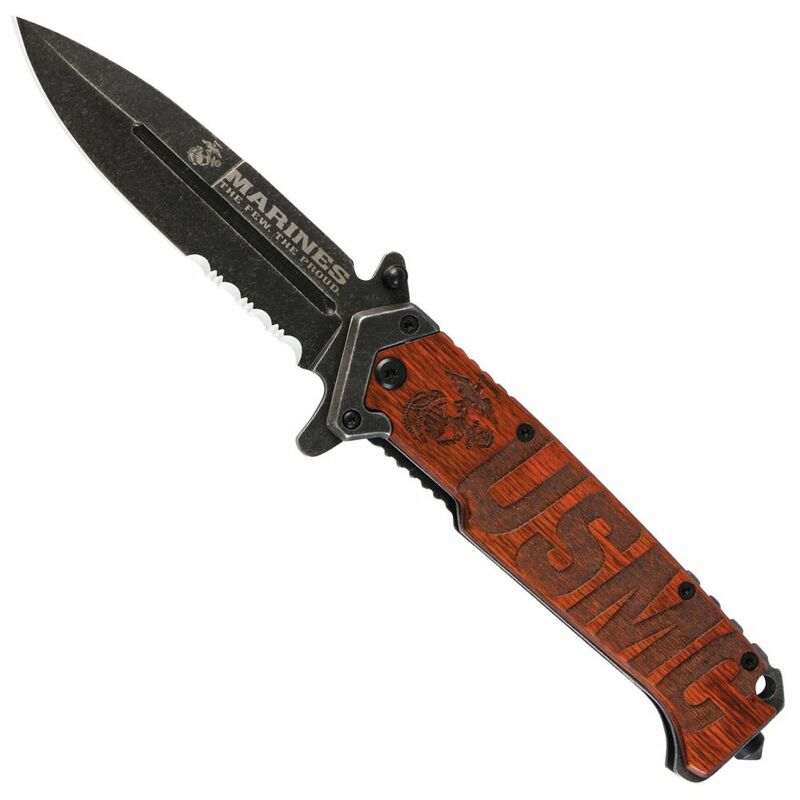 Just like the marines, the spear point blade deploys hard and fast with a spring assisted open.